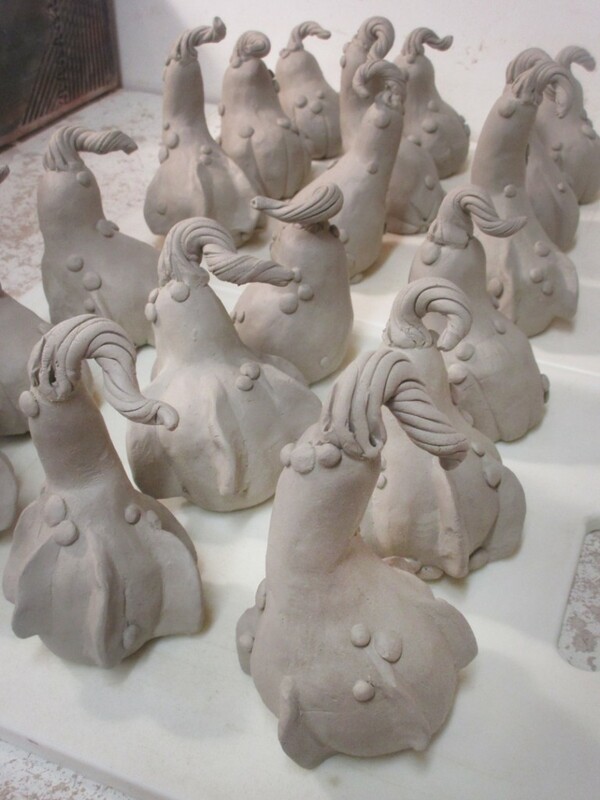 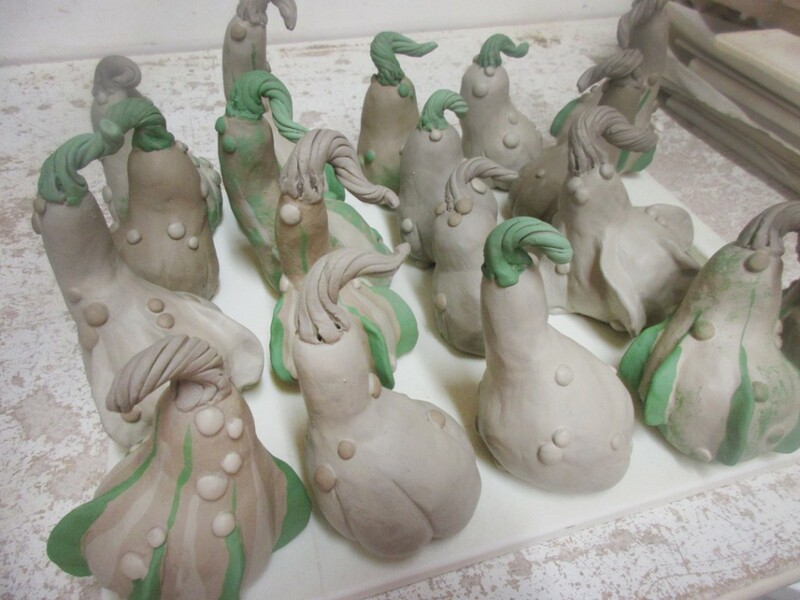 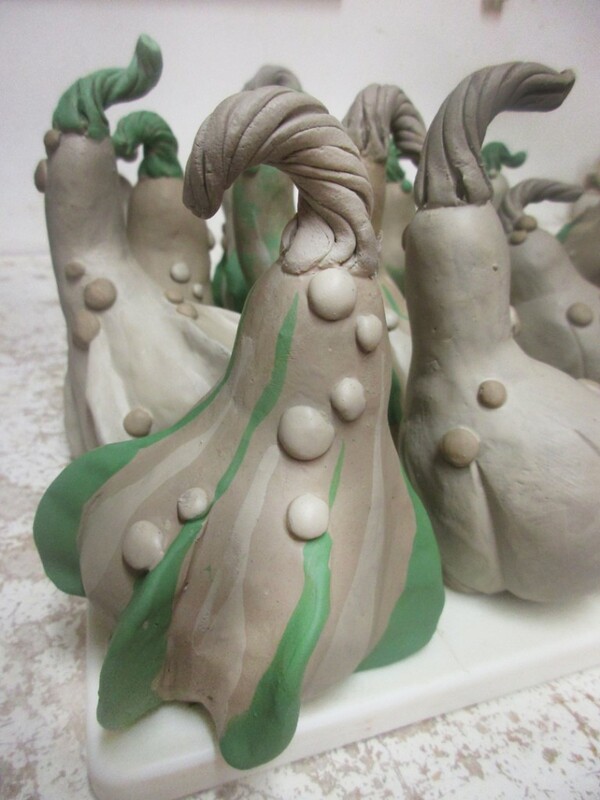 Fall is coming… and my latest harvest of gourds is about ready to be picked… err, fired! 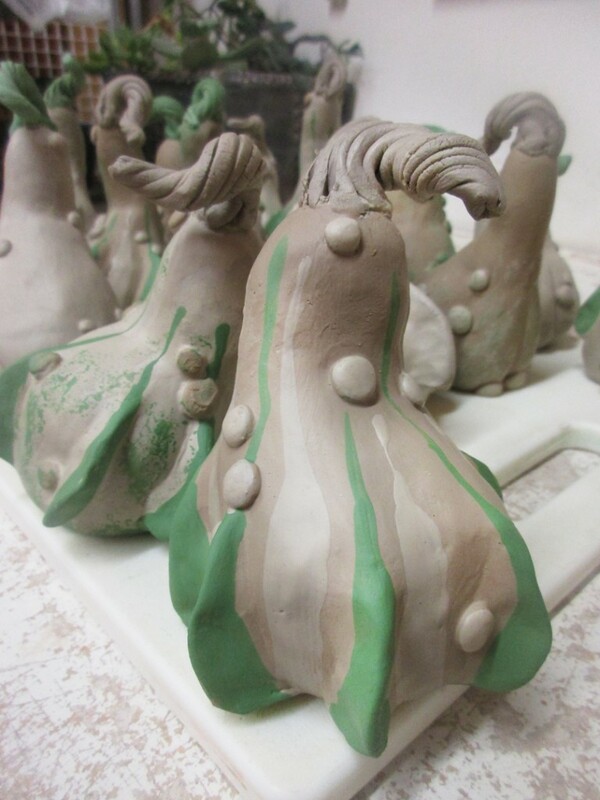 Handmade gourds with some colored slip accents that should change during the soda-firing process. 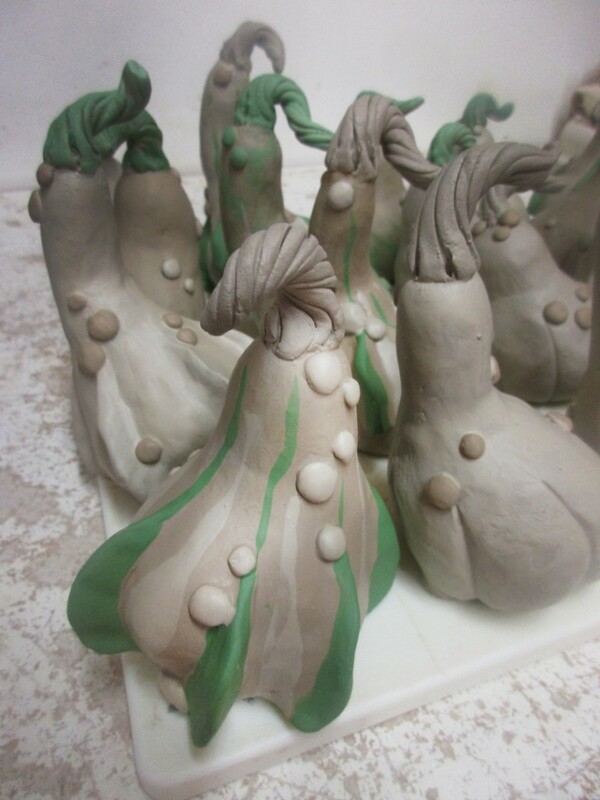 These little babies will be salt & pepper shakers complete with a gourd leaf tray for them to sit on.